Julie Sims received her Bachelor of Science in Business Administration in 1990 from the University of La Verne. She earned her Juris Doctor from University of La Verne College of Law 1992. She has been a member of the State Bar of California and the United States District Court, Central District of California since 1993. Since being admitted to the State Bar of California, Ms. Sims has practiced solely in the field of workers’ compensation defense including defense of Labor Code §132(a) and Serious and Willful claims. 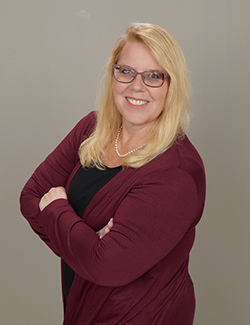 She joined Dietz, Gilmor & Chazen in 2017 bringing her considerable knowledge of workers’ compensation defense where she represents employers, self-insureds and insurance carriers. In her spare time she likes watching her son play soccer and spending time with her family.